Private IT companies have been advising Swedish government panels such as the national security service (Säpo), the National Police Board (Rikspolisstyrelsen), the National Civil Contingencies Agency and the National Election Authority. The advice is on protecting the legitimacy of elections amid mounting threats. The threats come by way of malicious attacks against IT-voting infrastructure, or the potential risk of foreign-based entities launching propaganda and misinformation wars against political parties or individual politicians. The latter has been linked to the US presidential election and the Brexit referendum in the UK, both in 2016. 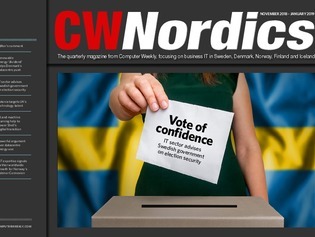 Read more in this issue about how the private sector is helping the Swedish government protect the election process. Meanwhile, in Denmark, the government, like the authorities in other Nordic states, is setting its sights on becoming a location of choice for businesses setting up datacenters in Europe.